In the past century, innovations in science and medicine have had a massive impact on the human population globally. One specific area of growth and understanding is our genes. After years of research dedicated to the human gene, scientists have recently made incredible breakthroughs that are changing lives now and will continue to change lives on a broader scale in the near future. These discoveries are changing everything from how we eat, to how we approach the possibility of being infected with life threatening diseases, to curing ailments that have haunted us for decades. If scientists can stay the course, life is about to improve vastly for a majority of the population. One person that is taking a lead in changing what we do with our understanding of genes is Lee Akay. Akay understood that the genetic makeup of every human varies person to person and he knew that each individual would have a different diet and nutritional need. That’s when Akay founded Fitgenetix, a company aimed at providing a specific diet and lifestyle tailored from the results of your personalized genome testing. From the results of their clients’ at-home DNA test, Fitgenetix creates a personalized menu, complete with food supplements, as well as exercise and wellness plans for what best suits each individual’s metabolic needs. This specific menu tailored to each person is then prepared and dropped off right at his or her door, making healthy, specific food options easy to obtain. The benefit? People create an option to consume the foods that will provide the healthiest lifestyle based on genetic factors. Having a firm understanding of what and what does not work in one’s body is revolutionizing how we eat. But the benefits of understanding our genes go beyond just our food intake. Color Genomes, founded by Gerneiva Parkinson, is using genes to make people aware of potential cancers they may be susceptible to. Growing up in Trinidad and Tobago, Parkinson became alarmed at the high rate of women on this small Caribbean island that were growing sick from breast cancer. After endless research, it was discovered that 10-15% of most cancers in men and women are inherited. These gene mutations carry hereditary cancers, including ovarian, colon and breast cancer right down the family tree. Determined to make this knowledge available to the public, Color Genomes now offers their DNA sequencing test for a mere $249, a vast discount compared to the $100 million the same testing cost only 15 years ago. Allowing people and their doctors to know that one may be more likely to carry a cancer gene, aids in the detection and treatment of the disease and vastly raises the odds of survival. 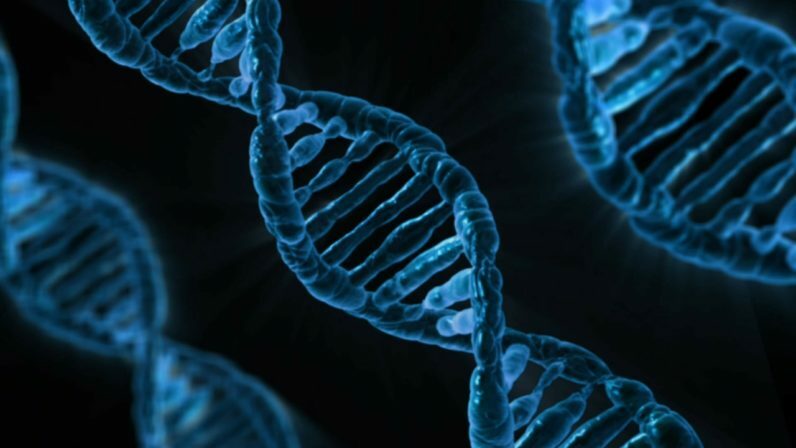 In the unfortunate event that one does become infected with cancerous cells, there are doctors and scientists throughout the world that are striving to use genetic technology to eradicate these hazardous cells. One such method involves drawing blood from a patient, blending it with a new gene that strengthens the cells during chemotherapy and re-introducing it to the body. But processes like this take time and loads of money. The goal is for these genetic treatments to not only be available to the financial elite, but to everyone, everywhere on the planet. Companies such as Miltenyi, a German device maker, are trying to simplify this process while making it more affordable. The goal of these technologies isn’t just to limit it to cancer, but other ailments that have both haunted us for centuries and those that are only surfacing now. One ailment scientists are striving to heal with gene technology is blindness, with companies such as GenSight Biologics leading the charge. Using Optogenetics, a form of gene technology, these research firms have made massive breakthroughs in curing one’s inability to see. Understanding that some cases of blindness come from the retina’s lack of ability to sense light, Optogenetics allows scientists to infuse genes into other retinal cells, making them light sensitive. GenSight recently developed a special pair of goggles that aids scientists in stimulating these genes-infused retinal cells. And although this technology is still in the research phase, if it’s found to work on humans, as they suspect it will, it’s only a matter of time until it finds itself readily available to the public, allowing those that haven’t been able to see, to once again, have vision. Every day the scientific and medical communities are making breakthroughs that can dramatically impact our future. But it’s the study and understanding of genes and how to manipulate them that is having one of the biggest impacts today. Whether it’s making us healthier by understanding the foods we need to put into our bodies, making us aware of cancers we need to screen ourselves for, curing a multitude of diseases or allowing the blind to see again, this research and understanding is well worth the investment. It’s unfortunate we ever have to deal with any of these issues, but thankfully, with the study of genes, we are much closer to understanding all of it.